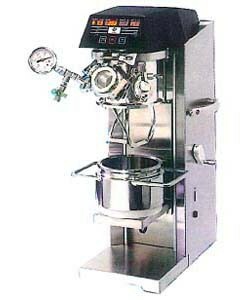 The blending machine with high torque, it is suitable for the mixture, the stir, and the degassing of the high viscosity materials. 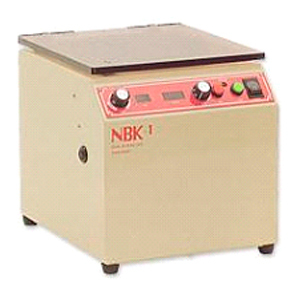 The kneader has excellent performance in kneading, stirring and degassing the high viscosity material. 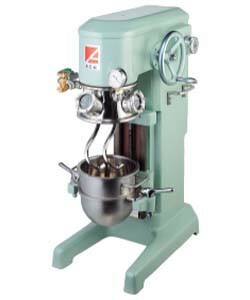 The mixing machine has the stir with planetary orbit. 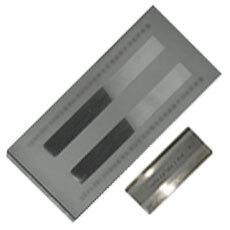 It is possible to use in low and high viscosity materials. 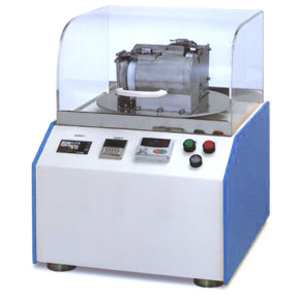 High speed decentralized machine with 18,000 rpm, it is suitable for the decentralization of the low viscosity material. A strong effect of the degassing is both achieved with can the saving of time because of doing the stir and the degassing at the same time. 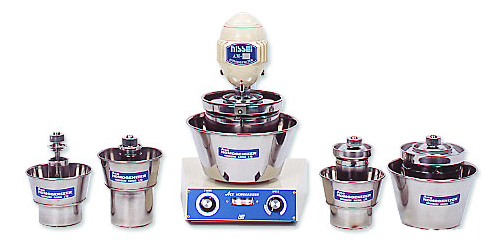 It is the mixer which shakes the container strongly. 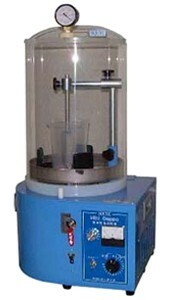 It is shorten the time to mix the materials because the containers are shaken right, left, up and down simultaneously. This is the gauge for checking the rain size of paints, pigments and printing inks.